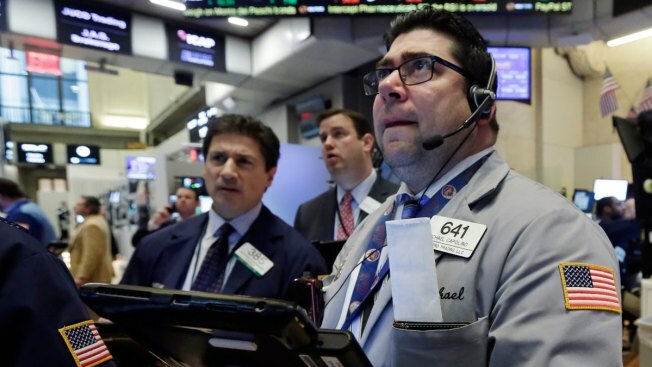 In this file photo, Michael Capolino, right, works with fellow traders on the floor of the New York Stock Exchange, Wednesday, Jan. 20, 2016. Energy stocks are leading an early rally on Wall Street Friday as the price of crude oil surges. U.S. stocks closed higher Friday, marking the first positive week in 2016, thanks to a recovery in oil prices, CNBC reported. The Standard & Poor’s 500 closed higher, with gains from energy leading all sectors higher. Meanwhile, the Dow Jones industrial average closed about 210 points higher. The Dow gained more than 250 points earlier. Oil closed just above $33 a barrel after hitting multiyear lows this week.